Find this legendary ring in the caverns of Nammu. Talk to Lalatia Varian at the Imperial Chapels in Ebonheart for an Oracle's quest. Talk to a Scout or Savant Dunmer (the nearest of which is Llaalam Dredil) to learn that the vision refers to the cavern of Nammu. Travel to Nammu and kill Galmis Dren to retrieve the ring. (Optional) Talk to Jon Hawker and give him a Scroll of Divine Intervention for his escape. Return to Lalatia Varian to complete the quest. Once you reach the rank of Acolyte, Lalatia Varian at the Imperial Chapels in Ebonheart will ask you to find the legendary Ring of the Wind, which she has seen in a vision. Since this is her first quest she offers, you might need to pledge an oath to serve her first. Rather than offer an exact location, she says that she has "seen the wind upon a dark elf's hand, the fire gleam on the Dwarf's face, and darkness upon the ring of water and heard no name whispered in the mouth of stone". Unfortunately, Varian does not offer to translate this riddle for you, and leaves it up to you. However, she gives you two Scrolls of Divine Intervention, two Scrolls of Vigor, and two Scrolls of Vitality for the quest. To decipher Varian's cryptic message, speak with any Scout or Savant Dunmer (the closest are Llaalam Dredil, on the second floor of the Grand Council Chambers, and Nalasa Sarothren, in the Hlaalu Canton's plaza inside Elven Nations CornerClub, downstairs, in Vivec). Speaking with any of them you'll quickly find that Varian was probably speaking of the cavern of Nammu, on the mainland coast west of Tel Aruhn (which is the closest fast travel point). 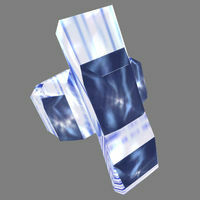 Nammu starts out as a typical, but tough, smugglers cave and the ring can be found on Galmis Dren. You can speak with the other person here, Jon Hawker, to learn that he is/was Dren's prisoner and he will accept a Scroll of Divine Intervention for his escape, leaving you with some powerful magic gloves, Zenithar's Warning and Zenithar's Wiles, and a Reputation point (as it turns out, Jon is a manifestation of the god Zenithar). Return to Lalatia Varian with the ring which you will get to keep. If you mention the story of Hawker you gain an additional point of Reputation. When you find Nammu and rescue Jon Hawker, he will disappear but you will still be in dialogue with him. Keep mentioning Divine intervention after he disappears and he will keep giving you the two gloves, Zenithar's Warning and Zenithar's Wiles. You can only do this for as many Divine Intervention scrolls that you have so it would be best to stock up first. A side-effect of repeatedly giving Hawker scrolls is that you get one reputation point for each time after mentioning the encounter to the quest giver. This exploit works on vanilla versions of the game and GoTY on Xbox and PC. On GOTY for PC, you get one reputation point for each scroll when you close Jon Hawker's dialogue box; you will get one or two more when you report back to the quest giver. 1 Oracle Lalatia Varian had a vision of the Ring in Darkness. She saw the Ring of the Wind, a legendary treasure of Elsweyr. "I have seen the wind upon a dark elf's hand. I have seen fire gleam upon a Dwarf's face. I have seen darkness on a ring of water. I have heard no name whispered in the mouth of stone." The Oracle bid me retrieve the Ring in Darkness. I must ask Dark Elven savants and scouts about the meaning of the Oracle's vision. 5 A Dunmer scout told me that Nammu, or 'no-name,' is a cavern in the wildlands of Sunna Guradan, somewhat west of the tower of Tel Aruhn. In the cavern is a great high chamber, flooded, with a central spire rising from the water. The water around the bottom of the spire might be the ring of water in darkness from the Oracle's vision. 10 A Dunmer savant told me that Nammu, or 'no-name,' is a cavern in the wildlands of Sunna Guradan, somewhat west of the tower of Tel Aruhn. In the cavern is a great high chamber, flooded, with a central spire rising from the water. The water around the bottom of the spire might be the ring of water in darkness from the Oracle's vision. 50 Finishes quest I retrieved the Ring of the Wind from Galmis Dren and brought it to Lalatia Varian. She praised me, and said that I was meant to keep the ring myself, and that I should use it in the service of the Nine. 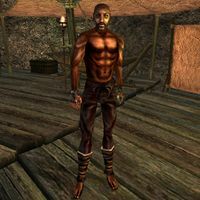 1 I found a Redguard trader in Nammu named Jon Hawker. He had been taken prisoner by a battlemage named Galmis Dren, to be sold as a slave. He had prayed to the Nine for aid, and thought I was the answer to his prayers. He asked for a Divine Intervention scroll, so he could escape, but I didn't have any. He suggested that he had some Divine Intervention scrolls when he was captured, and that they might be around somewhere. 5 I found a Redguard trader in Nammu named Jon Hawker. He had been taken prisoner by a battlemage named Galmis Dren, to be sold as a slave. He had prayed to the Nine for aid, and thought I was the answer to his prayers. I gave him a Divine Intervention scroll and he disappeared, but he gave me two gifts. It is strange -- such valuable gifts. How did he hide them from Galmis Dren? This page was last modified on 30 January 2016, at 21:40.